Once you have your content, how do you make sure it reaches your target groups? Targeted content placement is key – it’s what makes you discoverable, especially if it’s online. There are many ways to do this. Successful companies employ a multimodal approach, using a balanced media mix and variety of formats to deliver their message. Why not consider working with a steelecht English editor in Frankfurt to do your newsletter or blog editing? Owned – publicity through company-controlled media, e.g. company websites, social media accounts, content marketing hubs, brochures, roadshows, PR, etc. Paid – publicity through paid content placement, such as PR, or traditional paid advertising, e.g. social media ads, banner ads, billboards, radio, journals, etc. Earned – free publicity generated by customers or journalists, e.g. media coverage, blog mentions, online reviews, word-of-mouth recommendations, invitations to speak, etc. Content placement is a key component in effective content management, which also includes repurposing, recycling and refining existing content to serve multiple objectives in parallel. For instance, a captivating press release or PR measure might easily be adapted to work well as a tweet, banner ad, or article in your newsletter, digital digest or e-magazine. Adapting appealing content to fit in new formats is mission-critical to the success of your messaging. We can help. Our team is skilled and experienced in using content to communicate, and in assisting companies to adjust their media mix to reach their target audiences. Your messaging can go further! Get greater reach with a content marketing hub we help you fill with content. Or go for newsletter or blog editing by an English editor in Frankfurt. Contact us! Repurposing content is all well and good, but just duplicating it is not the way to go either. In fact, duplicate content can cause conflicting results in search engines, so it’s better to have your content parked in one main spot on the web, such as a dedicated content marketing hub. Then you can drive traffic to it through teasers, social media posts, ads, newsletters and other means. The central idea is to claim the digital space related to the subject area in which your product is desirable. For instance, if you are an apparel company, you might stake a claim on “sustainable clothing”. If you are an elevator company, you might commandeer the subject of “urban life”. Look at what we do for this client. By owning and developing your conceptual piece of the digital real estate, you can quickly become a leading voice in the field in which your products operate. It’s easy. Blog – Producing a regular blog, whether for a social media feed or a website, is a simple way to gain recognition and create a fixed space for your thoughts and observations. A ghostwriter skilled in blog editing and writing can streamline the process for you. We recommend linking to your blog from your newsletter. Video – Short, clever, scripted videos (image, testimonial, interview, documentation) are a great way to make a point, and expand your media mix. People also like to see who they are dealing with. Adding videos to your newsletter also ups the click rate. 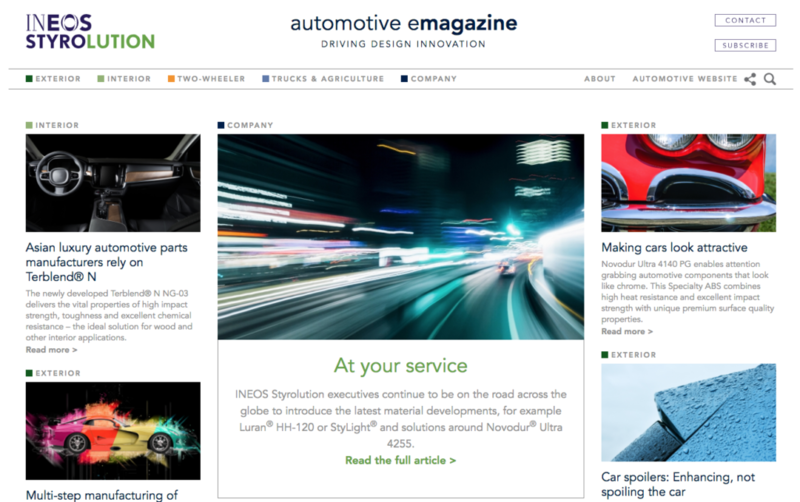 e-Magazine – This relatively simple idea has a number of applications, ranging from offering an extended version of a product brochure to providing an additional content marketing channel for companies, products or brands. At its most ambitious, the e-magazine offers evidence of your thought leadership. Content marketing hub – For even more ambitious companies, this tool dramatically extends and reinforces your thought leadership. Read more here. Here’s an example. Let’s say your company manufactures kitchen appliances. They are used in the preparation of food. Food feeds you, your family and your guests. As a maker of such appliances, you might offer a (fully-indexed) digital digest with tips on food storage, recipes, entertaining, particular foods, making healthy food your child will eat, nutrition, dieting, etc. Soon, you are the go-to site for any information related to the environment in which your products operate. Now that’s good content placement! You might mention your products as well, or generate newsletter subscribers. But be subtle. The main purpose is to attract the attention of potential customers and deliver useful information about better using their kitchens. They’ll get to trust your brand for its expertise, and they’ll thank you for leaving out the hard sell – by buying your products in the long run. Digitalization has opened up exciting new frontiers for your media mix. steelecht develops modular messaging tools and content placement strategies that amplify your message and direct it for maximum effect. Our experience covers the entire range of traditional and digital media, from blog editing and newsletters to a full-blown content marketing hub. Try us! We can help you reach your target audiences more efficiently, more effectively, and more easily. Whether you need a content editor to upgrade existing copy, a tactician to organize the nuts and bolts of a brand or product campaign, or a strategist to develop a content marketing hub that proves your thought leadership – we’re ready, willing and able to assist. Large, international agencies offer global content and media competence. Boutique agencies offer you personalized service and care. steelecht is definitely more of a boutique agency. That said, we often partner with larger agencies on 360° campaigns. In every case, we combine care and competence to achieve content placement that puts you where you want to be – front and center in the minds of your target audiences. 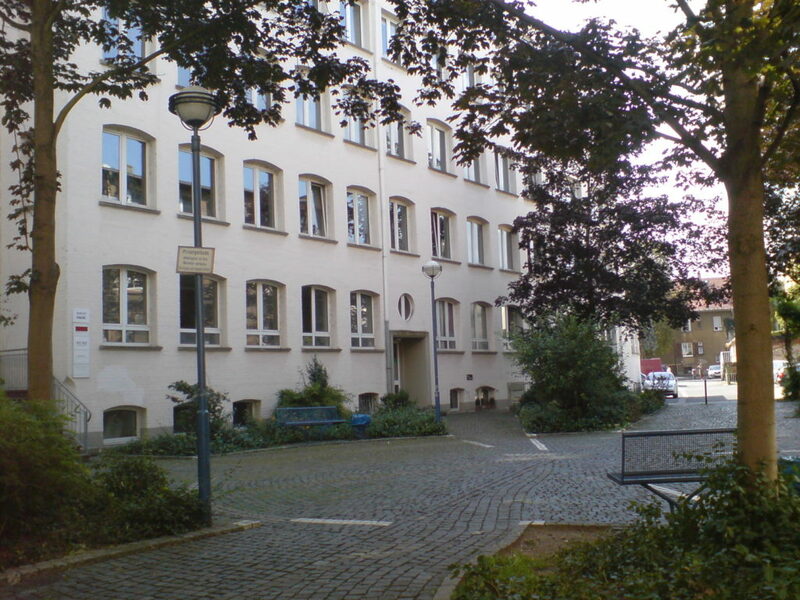 Talk to a steelecht English editor in Frankfurt or Berlin. Let’s explore how a content marketing hub or other targeted content placement on the web can improve the impact of your media mix.